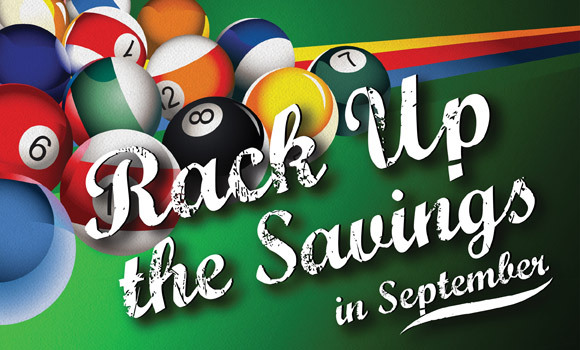 Rack up the savings in September with 50% off StarMarque Rack Cards. Rack Cards are more than just a way to advertise nearby tourist traps at the Shoney’s on I-95. Oh yes, they’re that too, but they’re so much more. Use ’em as postcards, menus, announcements, price lists, inserts or for anything else where a 4” x 9″ or a 4.25″ x 11″ card will fit. This month we’re offering StarMarque Rack Cards. 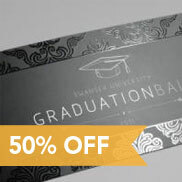 Dress up your rack cards with spot-UV highlights on a luxurious ultra-soft finish, bringing a whole other level of enticement to your wax museum, fudge shop or world’s largest ball of rubber bands. DID YOU KNOW!? – 4.25″ x 11″ Rack Cards are eligible for use as EDDM Postcards. This means you can mail these puppies out for as little as 16 cents postage via Every Door Direct Mail!